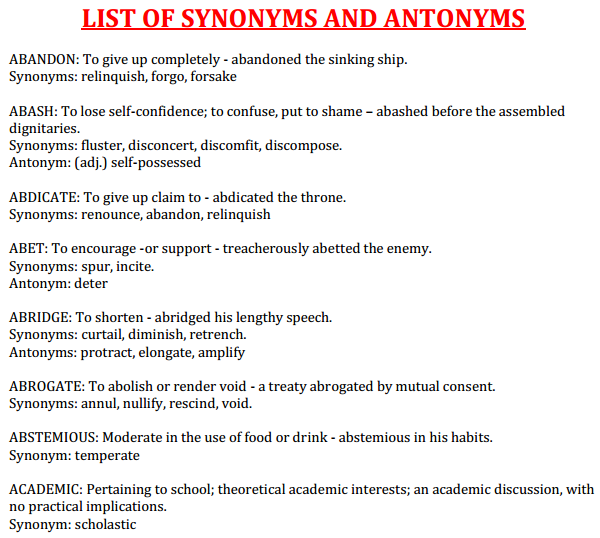 This PDF is Compilation of Antonyms asked in various examination held by SSC. Some one words are repeated, focus on them because they were asked multiple times, so they have been included multiple times too. Today we are sharing List of Synonyms Questions asked in SSC Exams from 1997 till date for the coming SSC CGL Tier 2. This PDF has been created by Online Mentors and proper credits goes to them. You may download this PDF from the link provided below. 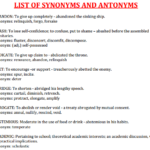 This PDF is Compilation of Synonyms asked in various examination held by SSC. Some one words are repeated, focus on them because they were asked multiple times, so they have been included multiple times too.